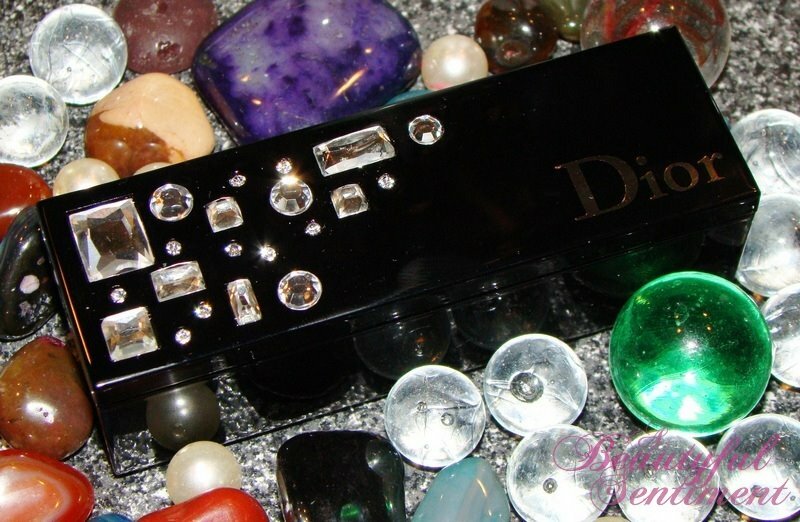 So after the arguing, the traveling, and the aggravation, here at last is my Dior Diamond Lipstick Case! Isn’t she a beauty? I absolutely love it and would have been willing to pay for it as it’s extremely well constructed. 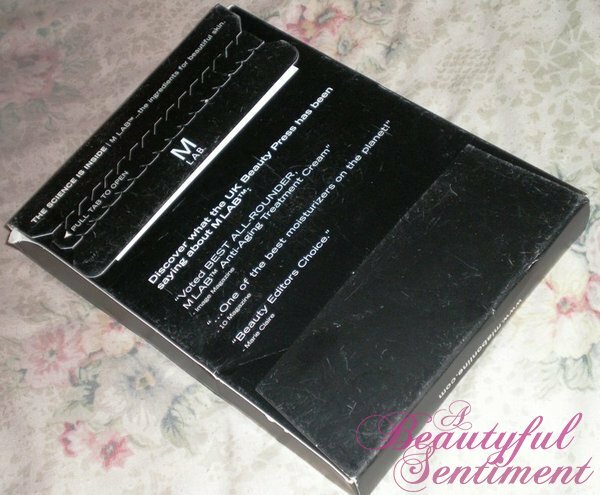 When I was growing up, my mother had this intricately beaded lipstick case that I thought was the epitome of glamor and sophistication. Watching her apply her lipstick while peering into its tiny mirror, I vowed to have a lipstick case of my very own when I was all grown up. It seems that lipstick cases have waned somewhat in popularity since that time though, as as nice ones seem to be rather hard to come by nowadays. Seeing this Dior case renewed my lemming and I simply couldn’t rest until I got my hands on it! 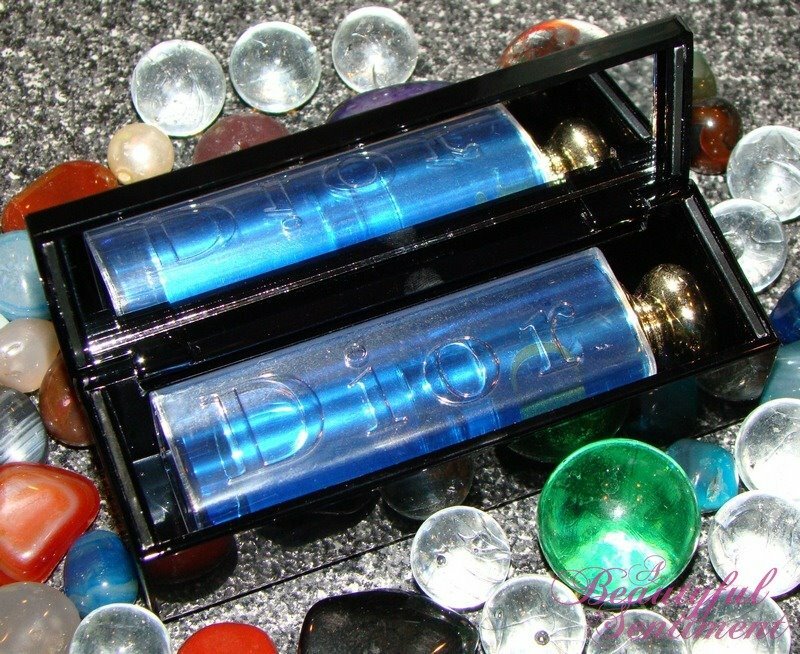 The dimensions fit Dior’s lipsticks and glosses perfectly, and the lid shuts with a satisfying snap thanks to magnets on either end. As far as freebies go, this is definitely up there amongst my favorites, although you’ll have to remind me to show you my favorite freebie ever at some point–it’s a serious stunner and my other freebies can’t even come close. I hope to have a review of the new Addict lipsticks for you soon, along with some MAC swatches! 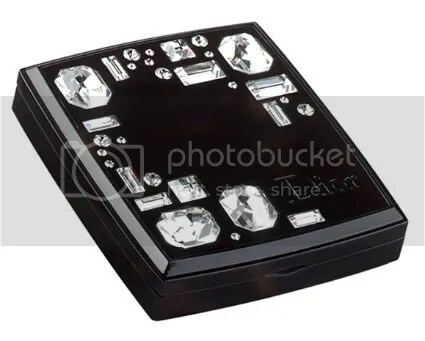 I just wanted to add that as Deb mentioned, this gorgeous bejeweled lipstick case matches Dior’s Night Diamond Compact which I blogged about back in September of 2008. Meaning if you have it, you definitely need the coordinating lipstick case! You can see my grubby fingerprints all over the card =X. So I stopped by the Saks on Fifth Ave. on Saturday and was informed by the SA there that “your purchase” actually meant 2 lipsticks! Now I make my living interpreting phrases like this, so while yes technically “your purchase” can mean any number of lipsticks that they choose, I happen to object to their failing to disclose in the mailer that you actually need to purchase not one but two lipsticks. I then called the Saks in NJ to see if they were also spewing this 2 lipstick nonsense, and was told they were only requiring the purchase of one–and since the NY SA refused to budge on her 2 lippie position, I politely informed her that I’d be taking my business elsewhere. 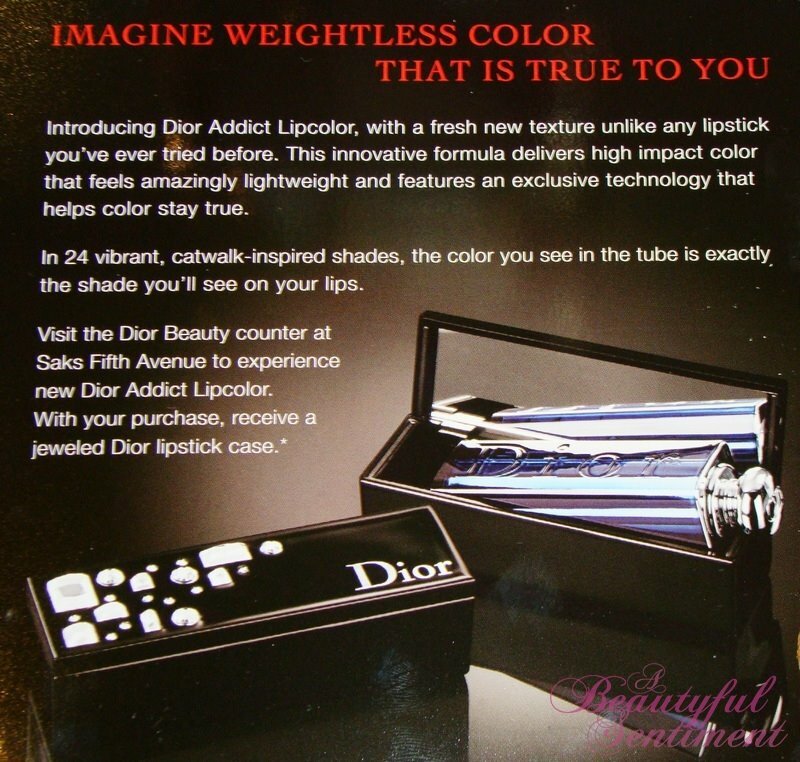 I get to Saks in NJ yesterday and the lady at the counter (who wasn’t actually the Dior SA) tells me that she believes that it’s two lipsticks, although she’s not sure. At this point I’m getting a little aggravated since I’d gone out of my way to get there, but luckily as I’m waiting the lady with whom I’d spoken on Saturday (who’s the Dior SA) comes back to her counter and says the card says “your purchase,” she interprets that as one, and so of course it’s fine to give me the lipstick case with my purchase of a single lipstick. Ahhhh the drama! At least I finally have my hands on the lipstick case (which is really beautiful and well made) and a pretty new Dior lippie. I’ll be bringing you photos of both soon! I’d actually forgotten all about the free preview sample pack from M LAB that I’d signed up for nearly a month back, but look what I found sitting on my doorstep (along with a bunch of other packages that I’ll be blogging about in a day or two) last night! Well actually on top of my laptop courtesy of my mom. Not bad at all considering this was absolutely free-no shipping or anything! I haven’t actually had a chance to look at everything since I had much more important matters to attend to (namely a package from Nicole–a Nicole package is the best pick me up!) but I hope to have a chance to test everything out eventually. 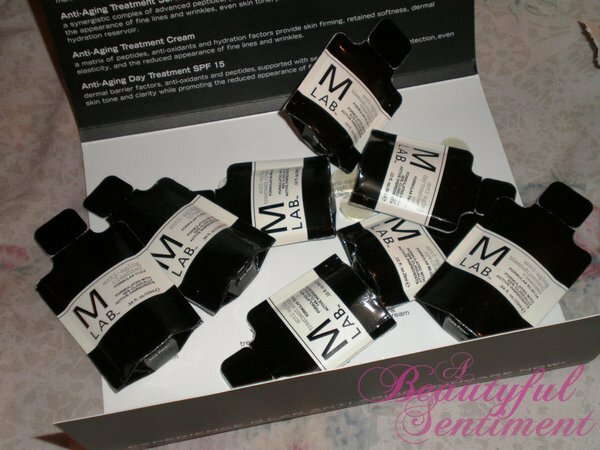 Has your M LAB Preview Pack arrived yet? I feel like I’m probably the last person to find out about this so just ignore the post if this is old news to you, but the always informative Deb tipped me off to the fact that Zoya currently has a promotion going on in which you send in your old bottles of nail polish (up to 200 non-Zoya bottles), choose the equivalent number of Zoya polishes, pay $3 shipping & handling per bottle and voila you’ve got some all new Zoya nail polishes! Thanks so much for the info Deb, I’m going to be doing this soon since I have a million bottles of nail polish sitting around feeling unloved. All the details are HERE so if you’re interested definitely go check it out. All bottles must be received by February 28, 2009! Click on over to M LAB’s website to receive a preview sample pack valued at over $100 absolutely free!! Just enter code BEAUTYMAVERICK in the box at the bottom right hand corner of the screen, sign up and you’re golden.